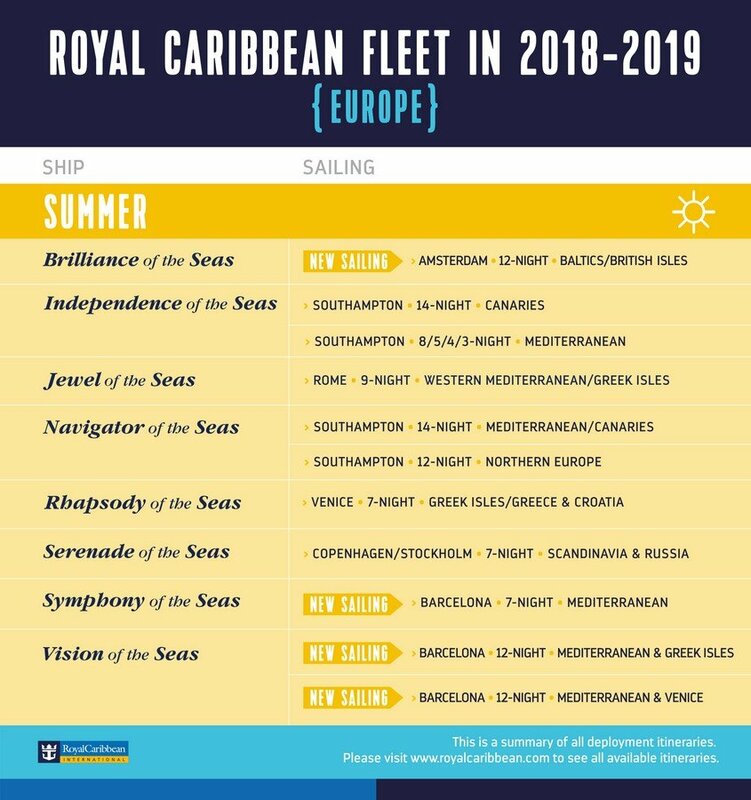 Royal Caribbean has released the second phase of its 2020 European sailings. 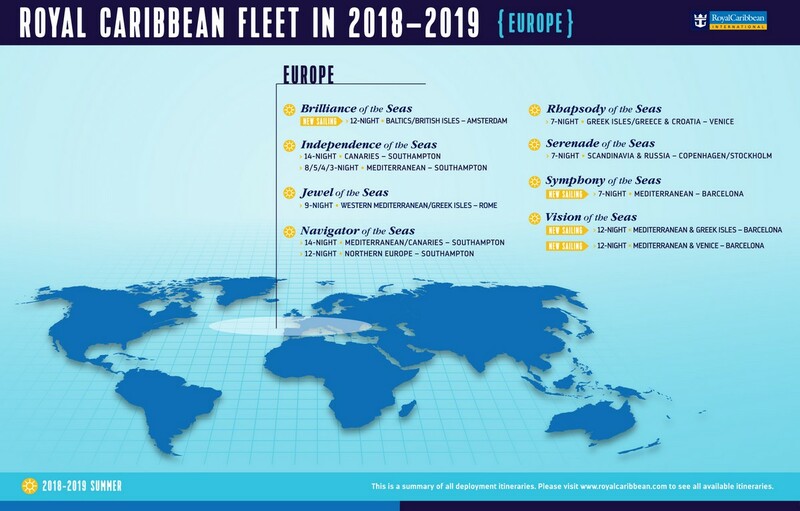 Six Royal Caribbean ships had their 2020 sailings revealed, alongside Anthem of the Seas and Independence of the Seas, which had their deployments announced a few weeks ago. Headlining the 2020 season for Royal Caribbean in Europe will be Allure of the Seas, which will sail from Fort Lauderdale to Barcelona on March 1, 2020 and then begin offering 7-night Western Mediterranean cruises until Allure heads to Miami on November 1, 2020. Brilliance of the Seas will sail from Amsterdam, and offer sailings to the Baltics and British Isles. Her 2020 European season will culminate with a 15-night Arctic Crossing on her way back to Boston. Explorer of the Seas returns to Europe in 2020 to offer primarily Greek Isles cruises from Rome. Among her many itineraries, Explorer of the Seas will also offer 12-night Holy Land sailing. Jewel of the Seas will sail a variety of itineraries in 2020, including a few sailings from Barcelona before moving to Copenhagen to sail to Scandinavia, Russia and the fjords. Jewel then returns to Barcelona to offer Greek Isles and Mediterranean sailings, including a couple of sailings to the Holy Land. Rhapsody of the Seas will homeport in Venice, Italy, and sail primarily to the Greek Isles and Croatia. 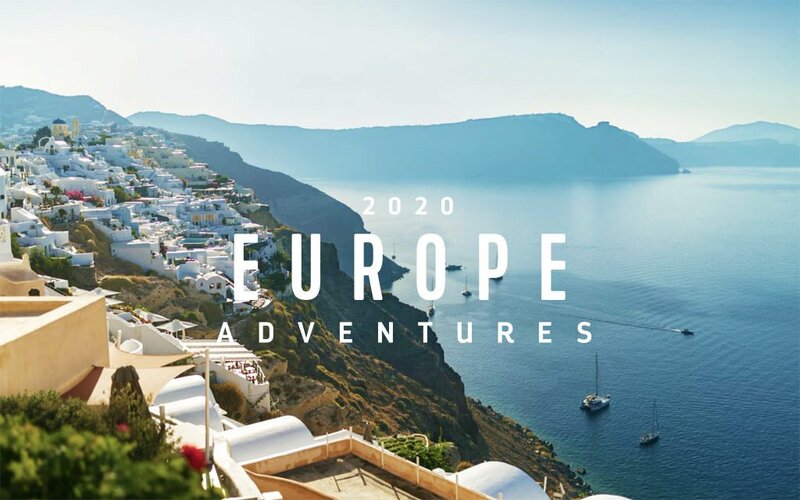 Vision of the Seas will also sail the Mediterranean and visit destinations in the Greek Isles and Venice before heading to Cape Liberty, New Jersey on September 5, 2020. Royal Caribbean Crown & Anchor Society members can begin booking sailings on December 18, 2018, with the general public available to begin booking on December 19, 2018. Royal Caribbean released new information about 2019 Alaska and select European cruises, as well as when guests can expect to begin booking these adventures. Royal Caribbean Crown & Anchor Society members can begin booking sailings on December 12, 2017 at 9:30am - 1:30pm EST, with the general public available to begin booking at 1:30pm EST. The remaining deployments will be released sometime in Spring 2018. Royal Caribbean released today its 2018 sailings in Europe, which is headlined by the fleet's brand new Symphony of the Seas. 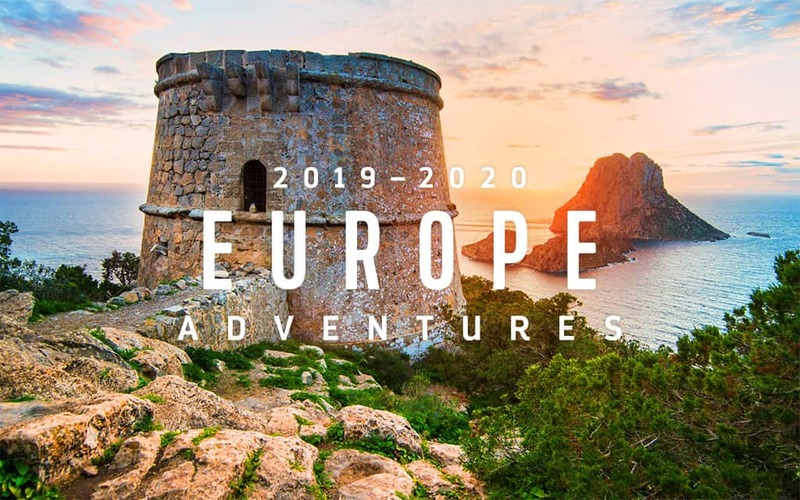 Across the continent, adventure awaits guests onboard eight of the world’s most innovative ships, with Spanish landmarks, Italian landscapes, French icons, Greek legends and Nordic Castles, comprising an unbelievable collection of more than 110 European odysseys. All itineraries are available to book as of March 23, 2017. Making her debut in Barcelona, Spain in April 2018, Symphony of the Seas, the fourth sister ship in the Oasis-class, will spend her inaugural summer season sailing the striking blue waters of the Western Mediterranean. Starting April 21, she will offer seven-night itineraries from Barcelona to Palma de Mallorca, Spain; Provence, France; Florence/Pisa, Rome and Naples/Capri, Italy, where travelers can discover the breathtaking views from atop Barcelona’s La Sagrada Familia Cathedral, and revel in the artwork of the old masters housed within the museums of Florence. For those wishing to start and end their trip in Italy, round-trip sailings from Rome are also available. New in 2018, Vision of the Seas will join Symphony for the season offering 12-night sailings from Barcelona with ports-of-call in Rome, Italy; Nice, France; Santorini and Athens, Greece. In Northern Europe, Brilliance of the Seas will sail new 12-night itineraries from Amsterdam visiting countries throughout the Baltics, Norway and the British Isles, including Holyhead, Wales. Oasis-class returns to Barcelona with Symphony of the Seas, which will headline Europe’s summer season exploring the Western Mediterranean on seven-night sailings, round-trip from Barcelona, Spain or Rome, Italy. Vision of the Seas will embark on new 12-night Greek Isles itineraries from Barcelona, plus 12-night Mediterranean adventures to France and Italy, including stops in Rome and Florence/Pisa, the Amalfi Coast and an overnight in Venice. Brilliance of the Seas will call Northern Europe home for the first time, sailing 12-night itineraries from Amsterdam, The Netherlands, exploring the Baltics and British Isles, featuring new port-of-call Holyhead, Wales. Independence of the Seas returns to Southampton, offering three- to 14-night voyages to the Mediterranean and a 14-night adventure to the Canary Islands all from Southampton. Navigator of the Seas will join Independence, sailing five- to 14- night itineraries. Serenade of the Seas will offer seven-night sailings to the Norwegian Fjords, plus the ultimate Scandinavia and Russian adventure with departures from Copenhagen, Denmark and Stockholm, Sweden. Jewel of the Seas will sail seven- and nine-night sailings though the Greek Isles and Western Mediterranean. Rhapsody of the Seas will return to Venice, Italy with seven-night excursions to the Greek Isles, and Greece & Croatia. Royal Caribbean has decided to cancel all scheduled stops in Turkey for the 2017 cruise season, citing "unpredictability" in the country. In a statement to travel agents, Royal Caribbean said that due to the current unpredictability of Turkey, and taking guests’ and crew members’ safety and wellbeing into account, Royal Caribbean has decided to replace our calls in Ephesus (Kusadasi) with alternate ports-of-call for the 2017 Europe season. "We truly regret having to take this action and thank you for your understanding and cooperation. Any decision we make is made in an abundance of caution and safety, as your clients experience in our ports of call is always our utmost priority." Guests that purchased a Royal Caribbean Shore Excursion for their day in Kusadasi, a full refund will be processed to the original form of payment within one week. Please welcome Dr. Kris Leppien-Christensen as our guest blogger today! He is sharing insight and tips from his recent Royal Caribbean cruise on Serenade of the Seas to the Baltic countries in Europe. Royal Caribbean offers some terrific cruises to Northern Europe and the Baltics, and for those taking a cruise to this part of the world that is rich in history and culture, here are seven ways to make your cruise even better. Unlike North American cruises, round trip airfare to your port of embarkation can run nearly as much as the cruise itself. As a result, one of the best pieces of advice to reduce the associated costs of airfare is to book early. Most airlines allow you to book up to 330 days in advance. In doing so, you may be able to find an excellent deal. While deals can be had closer to cruising, you do risk paying substantially more as a result. For the last two years, the best deals we found for round trip air to Europe from California was Thanksgiving week and at the 300+ day mark. Another way to save money on airfare is to spend a couple of extra days pre- and/or post-cruise. Doing so not only allows you some additional time to enjoy your embarkation and/or disembarkation port, but it also allows for you to travel home on a day that might be less expensive. Similarly, look at airports within a drivable distance from your home. Sometimes airfare can be as much as half that of your local airport. Even with the additional expense of getting to or from the distant airport, the savings can be substantial especially because one-way car rentals are often an affordable option. While there is safety in booking with the cruise line, cruise line excursions also tend to be large group endeavors. As a result, the group moves at a very slow pace and a lot of time is spent waiting for those who are lingering. Thus, for the same price, and sometimes less, you can often get a much more personalized tour with a smaller group. In addition, if you book early, you can often save an additional sum of money as many private excursion providers offer early booking discounts. Private excursions can truly be beneficial in St. Petersburg, Russia as the private companies offer personalized service, an opportunity to see more sights, and often have access to places before they open to the general public. And like the ship tours, these private vendors provide the blanket travel visas that are need to enter Russia. In addition, many of these tour companies offer excursions in the other Baltic ports and offer additional savings if you book multiple tours with them. Besides Russia, where a visa is required to enter the country, most of the ports are very easy to tour on your own. In fact, Stockholm and Tallinn are a short walk from many of the sights and Royal Caribbean regularly offers shuttle service in Tallinn, Riga, and Copenhagen when their ships stop there, so it is easy to simply hop on the shuttle into town and then explore on your own. If you plan on coming and going back to the ship more than once, this can be a very economical option as taxis can be quite expensive, especially in Stockholm where taxis are not regulated and in Copenhagen. Other options to consider are Hop On/Hop Off bus tours that give you a narrated tour of the city (although these often stop running well before your ship leaves port) or free walking tours offered in most ports (although a gratuity is expected for the service provided). Uber is also another affordable option to get to and from the port if needed. Odds are that you will be spending at least one night prior to your cruise in a hotel and odds are that the plugs for your electronic gadgets won’t fit in the European outlets. However, most modern electronics are dual voltage, so all you need is an adapter to convert your North American plug to the European standard. Another benefit of this small investment is that you will now be able to use the 220-volt outlet in your cabin, providing you with yet another outlet to charge your electronics. Do verify, though, that your electronic devices are dual voltage before using an adapter plug as they do not convert the voltage. One of our favorite things to do when traveling to different countries is to go into the local grocery stores to see how they compare to our own. We also like to check out the candy aisle and try to pick up unusual candies to share with our family when we return. These grocery stores also provide us with the opportunity to try things that we might not otherwise have an opportunity to try. In the Baltics, we had the most fun in a grocery store in Klaipeda, Lithuania. Not only were we able to pick up some unusual candies, they had a small bakery department where we were able to pick up some local pastries. In addition, we noticed that a number of customers were buying these small bars out of the dairy case. Upon inquiring what the items were, we discovered that they were a goat cheese bars that came in a variety of flavors, many of which were covered in chocolate. Not only were they inexpensive, about 50 cents, they were delicious and unlike anything we had ever had before. When traveling to so many countries when on a Baltic cruise, one of the common worries is money. While it is true that U.S. dollars are not widely accepted, Euros are, although you might receive change in the local currency. And while having some currency makes small purchases practical especially from street vendors, most merchants take credit cards, but be aware that some credit card providers charge a foreign transaction fee. ATMs are readily available and one of the best options for getting money at a low fee. Other options include large banks if you are an account holder there or online through AAA, who has a partnership with Wells Fargo for currency exchange services. Do realize, however, that your best exchange rate will be at ATMs or by using your credit card. Making contact with fellow cruisers on a Baltics cruise can be very beneficial in a number of ways. For example, some of the people we met made arrangements to share a taxi from the airport to the port significantly reducing cost of getting to the ship. We were also able to obtain a discount with our tour provider in St. Petersburg, Russia and in Federicia, Denmark by forming a group beforehand. Even though we all paid individually, we were able to benefit from a group discount and saved money over what the cruise line offered. An additional benefit of joining a roll call is that you will have an opportunity to “meet” people before your cruise, which can be extremely beneficial if you have children. In our case, we were able to meet up with a family that had children and were able to tour with them over four days. The kids enjoyed each other’s company and kept themselves entertained as the adults explored the various sights. If you have any tips to share or questions to ask, please do so by leaving a comment below. Royal Caribbean released its summer 2017 itineraries today and bookings for the European season will open on Friday, March 4, 2016. Here is a breakdown of the deployments by ship. Jewel of the Seas will sail from Italy on seven- and nine-night voyages that visit Greece and Turkey, as well as seven-night sailings through the Western Mediterranean – offered more frequently with additional departures dates in 2017 – visiting France, Spain and Italy. Freedom of the Seas will host guests on seven-night sailings through the Western Mediterranean, departing from Barcelona, Spain. 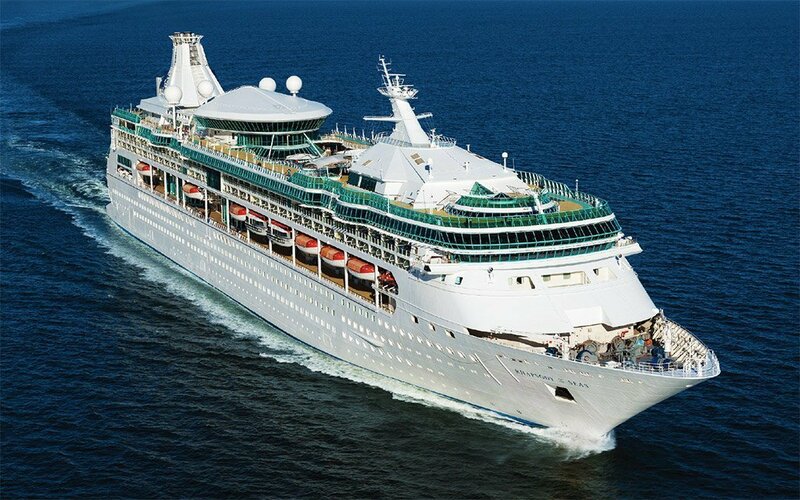 Brilliance of the Seas will offer eight European destinations with a 12-night itinerary, departing from Barcelona, Spain. Independence of the Seas will sail the Mediterranean and the Spanish Canary Islands from Southampton, England with itineraries that extend from 7 to 14 nights. Navigator of the Seas will sail the Mediterranean and the Spanish Canary Islands from Southampton, England with itineraries that extend from 7 to 14 nights. Both ships will head to northern Europe with a checklist of ports that includes Copenhagen, Denmark, Tromso, Norway and Stockholm, Sweden. If you are taking a Mediterannean cruise, Royal Caribbean has a new shore excursion for those stopping in Rome. Royal Caribbean rolled out a new shore excursion to the Pope's private summer residence estate, along with stops at other well-known landmarks such as the Sistine Chapel and St. Peter's Basilica. Since 1626, the estate has served as a second home to the pope. View majestic gardens and a working farmhouse set amid Roman ruins of the ancient Amphitheatre and Villa built by Emperor Domitian and dating back to the 1st Century A.D. This is the first time this residence has ever been opened. 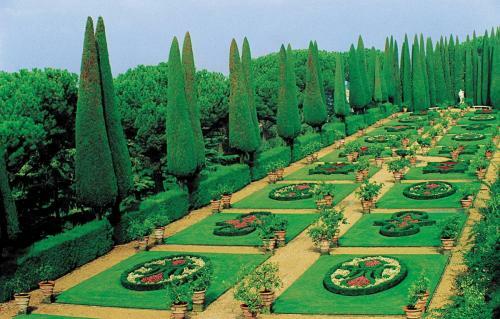 Royal Caribbean guests will also visit the Pontifical Villas in Castel Gandolfo, the estate’s majestic gardens and the on-site working farmhouse, a panoramic drive across Rome, and an in-depth tour of the world-famous Vatican Museum. Following the tour, enjoy a panoramic drive through Rome—passing by the Colosseum—before arrival in Vatican City. The price for the Pope's Summer Residence and Vatican City - CVR2 shore excursion is $165 per adult and $129 for children. The tour is approximately 10 hours. Royal Caribbean announced its 2016-2017 deployment schedule for Europe and Alaska and with it, where its cruise ships will be located. Royal Caribbean’s 2016 Europe itineraries will open for booking starting March 19, 2015, and 2016 Alaska will open on March 26. Harmony of the Seas, will homeport at Barcelona and sail a round-trip, seven-night Western Mediterranean itinerary. Harmony of the Seas will also offer cruises from Rome (Civitavecchia), but guests must sail round-trip for seven nights. Alternate 12-night Italian Mediterranean and Greek & Italian Mediterranean cruises. 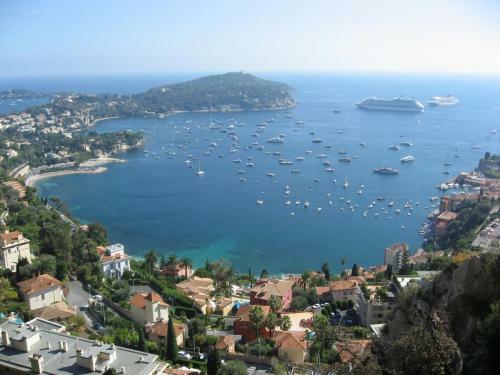 Will sail mostly 10- to 14-night Mediterranean or Canary Island cruises from Southampton. From Southampton, Navigator of the Seas will offer new six- to 14-night Norwegian Fjords, Baltic, Mediterranean or Canary Island itineraries. Seven-night Norwegian Fjords and seven- to 13-night Scandinavia and Russia itineraries, round-trip from Copenhagen, Denmark, in early summer and August, and from Stockholm, Sweden, in June and July. Alternate seven-night Greek Isles and Greek Isles & Turkey cruises from Venice. Will homeport at Rome (Civitavecchia) and sail nine-night Greek Isles cruises in early summer and autumn months. From late June through August, the ship will alternate seven-night Greek Isles and Greek & Turkey cruises. Based in Seattle, Explorer of the Seas will offer seven-night round-trip itineraries up Tracy Arm Fjords for an incomparable view of Sawyer Glacier. In September, the ship will sail three Pacific Coastal cruises, seven nights in duration, which feature an overnight in San Francisco, California. Alternate seven-night northbound and southbound Alaska cruises between Vancouver, B.C., and Seward.